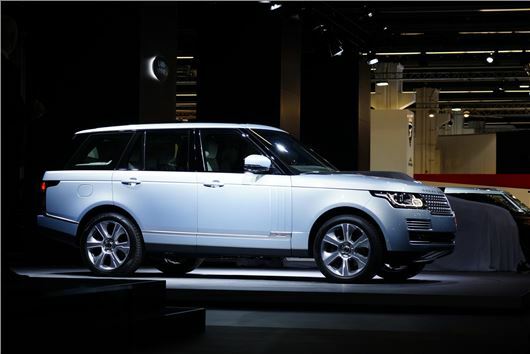 Land Rover has announced the details of its new Range Rover and Range Rover Sport Hybrids at the Frankfurt Motor Show. Both are powered by a 3.0-litre diesel engine and electric motor, which combine to produce peak power of 340PS and 700Nm of torque, but with relatively low emissions of 169g/km and combined cycle economy of 44.1mpg. Order books open on September 10 and deliveries are expected in early 2014, but prices won’t be announced until the Frankfurt Motor Show. You can expect to pay upwards of £90,000 for the Range Rover and upwards of £80,000 for the Sport, though. Under the skin the Range Rover Hybrid models use the same 3.0-litre SDV6 diesel engine as is installed in other Land Rovers, coupled to a 35Kw electric motor which is integrated into the ZF 8-speed automatic gearbox. The electric motor produces 170Nm of torque from zero rpm and can drive the up to a mile at speeds up to 30mph in pure EV mode. The layout of the vehicle means there is no reduction in cabin space – the water-cooler battery is mounted under the floor and is protected by a boron-steel cradle. There’s even room to retain a full-sized spare wheel and 5+2 seating in the case of the Sport model. Land Rover is so confident the hybrid models retain their full capability on and off road that it is running them on the ‘Silk Trail 2013.’ The route takes the vehicles from France to India via Germany, Poland, Ukraine, Russia, Uzbekistan, Krygyzstan, and China.